NIA CHARLESTOWN NEVIS (JUNE 13, 2016) – Premier of Nevis and Minister of Education Hon. 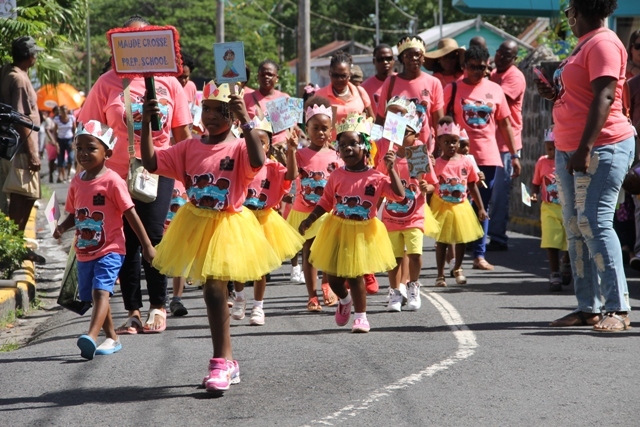 Vance Amory, says the annual Child Month Parade is a demonstration to the world, that the children of Nevis are a valuable asset. “I think our fights against crime and against antisocial behaviour has to being with changing the mindset of the young people and when they grow they can influence others. I think that it is important that we don’t just think that because somebody is little that they can’t be of influence,” he said. Mr. Amory, stated that the Administration, through the Department of Education, continues to inculcate good principles in students at an early age in an effort to build stronger character, stronger adults and eventually which would lead to stronger communities. 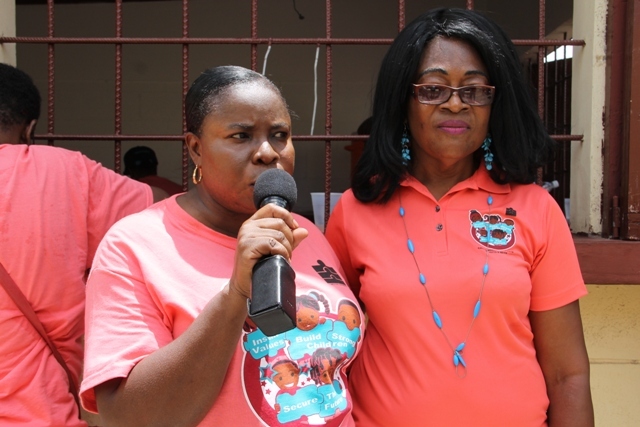 Principal Education Officer in the Ministry of Education on Nevis Palsy Wilkin, said she was pleased to see the level of support given by parents. 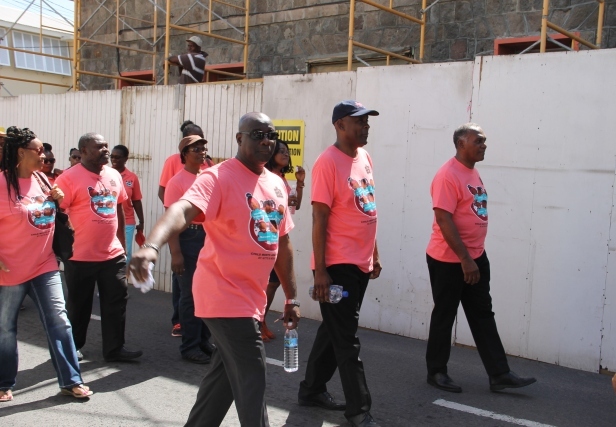 “We are happy for the strong support shown by the parents in terms of coming out in their t-shirts in support of the children, teachers Early Childhood Unit and the Education Department in general. “We are hoping, that this show of solidarity will transfer to the parents really helping instill the values to help us build strong children to secure a strong nation in the future,” she said. 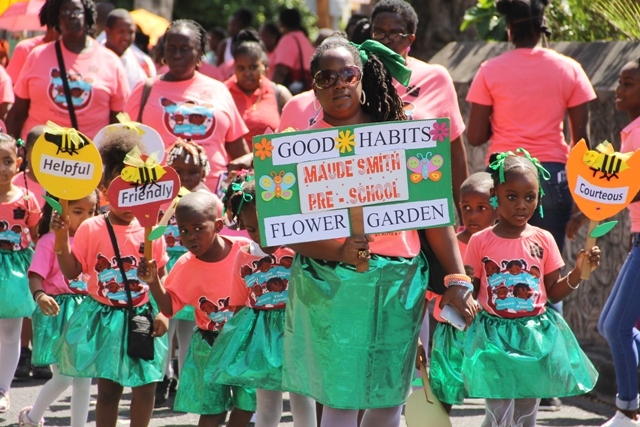 Florence Smithen, Education Officer responsible for Early Childhood on Nevis, noted that all the preschools and nurseries on the island participated in the march. She expressed hope that they would continue to do the same in the coming years. 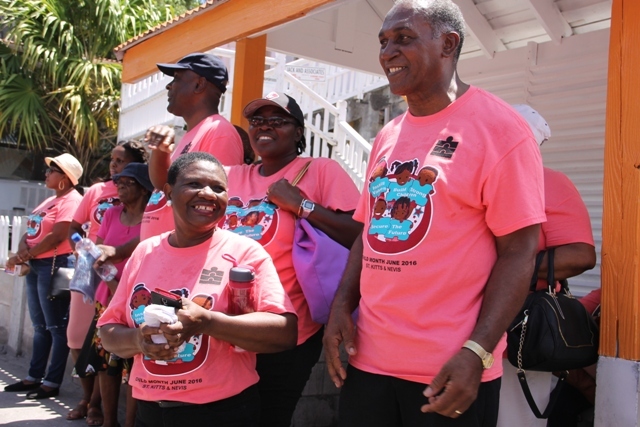 Meantime, June Wallace, Acting Director of the Early Childhood Unit in St. Kitts and Nevis noted that the contingent from the Early Childhood Unit in St. Kitts who participated in the parade on Nevis, signaled their support for instilling good values in the nation’s children. She said it was important as a people, as parents and teachers to help to instill good values in the children which is critical to the quality of communities in the future. A similar parade is scheduled for St. Kitts on June 24, 2016. Among those present at the parade were Hon. Alexis Jeffers, Hon. Hazel Brandy-Williams and Cabinet Secretary in the Nevis Island Administration Stedmon Tross.